At the 2016 FRC game reveal on University of Michigan campus, the four teams that build their robots at Maker Works in Ann Arbor received a great surprise. The FIRST alumni and Mentors Network at Michigan (FAMNM) created a scale mock up of the game field. The students were able to tour the field and test the defenses to see how they work. But, the best part was that FAMNM announced that they were donating the practice field to the four teams that build their robots at Maker Works in Ann Arbor. The cry of teams that received the gift was near deafening when FAMNM made the announcement. Having a practice field for the teams to test their robots on is a huge gift. The Dexter Dreadbots are grateful to FAMNM for their generosity. 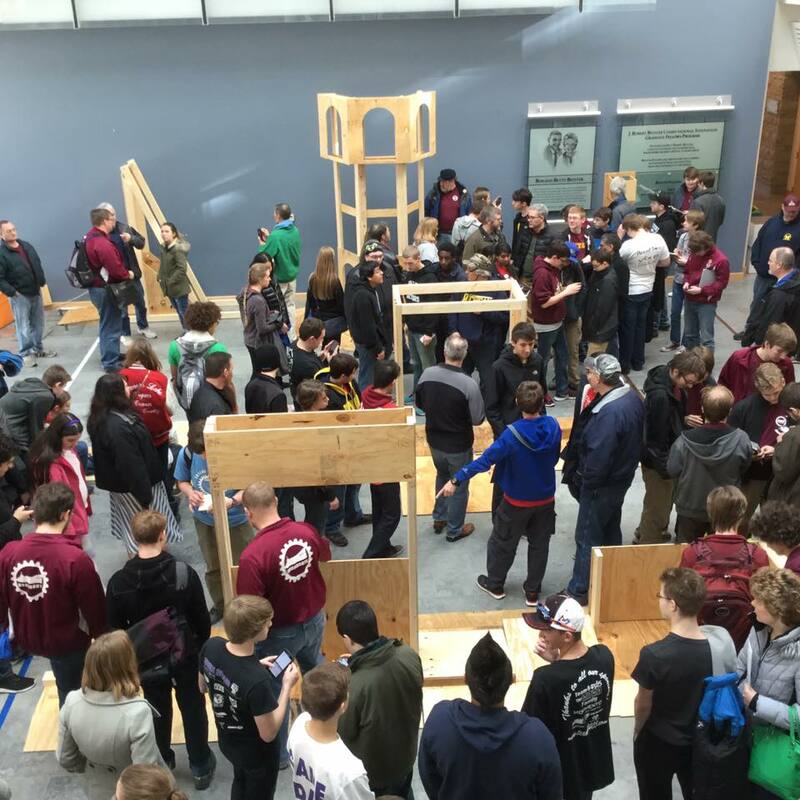 This entry was posted in Game challenge and tagged Dexter High School, DHS, Dreadbots, FAMNM, FIRST, FIRST Alumni and Mentors Network at Michigan, FRC, FRC team 3656, game reveal, Maker Works, robotics, Stronghold. Bookmark the permalink.